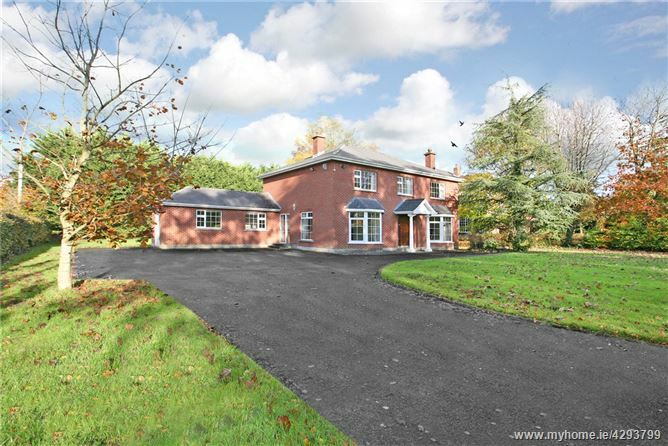 Sherry Fitzgerald are delighted to introduce to the market Oaklands, Garraunykee, Lisnagry, Co. Limerick. A marvellous five-bedroom family home situated on .6 Acres (approx.) of truly stunning rural grounds. This is a fantastic opportunity for anybody looking to acquire a family home located in one of Limerick's finest locations. Despite the distinct country setting, Oakland's is positioned just 10 minutes outside of Limerick City and has immediate access to all major road networks. This property is the ideal for a growing family seeking a secure, private setting in which to establish their family home. There is a wealth of amenities available just minutes of your front gate, local shops, award winning restaurants and bars, world class sporting facilities and some of Limericks most renowned primary and secondary schools (Lisnagary National School, Milford NS, Monaleen N.S, Castletroy College) are all within 5 minutes' drive as is The University of Limerick. The property itself boasts excellent accommodation with well-proportioned and light filled reception rooms on the ground floor. While the first floor accommodates five generous double bedrooms. There is also a garage off the utility which has been converted for living space. Kitchen/Breakfast - An open plan kitchen/breakfast room is located at the rear of the property. A bright room with patio doors allowing light into the room. The kitchen is fitted with pine base units and overlooks the beautiful gardens at the rear. Living Room - Generously proportioned room with feature bay window and an open fireplace at the centre of the room. Family Room - Generously proportioned room with feature bay window and an open fireplace at the centre of the room. Dining Room - Located at the rear of the property and accessed from the kitchen and the living room. Can easily be converted into kid's playroom or further extension of the kitchen. Utility Room - Servicing kitchen, plenty of counter top space. There is a WC located off the utility. Converted Garage/Office - The garage has been converted and is currently in use as an office. The garage can be accessed from the utility room and provides access to the rear of the property through sliding doors. There is a wealth of possibilities for this room. 5 Bedrooms - All five bedrooms are located on the first floor. Each bedroom is generously proportioned. The master bedroom is located at the rear and benefits from built in wardrobes and an en-suite. Bedroom three is located at the rear of the property and also benefits from built in wardrobes. Bathroom - A main bathroom is located on the first floor and comes fitted with full WHB facilities, a shower and a separate bath tub. Early viewing comes highly recommended to avoid disappointment.